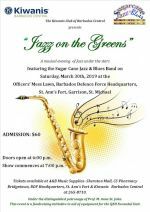 Kiwanis Club of Barbados Central will be hosting a Concert entitled Jazz On The Greens. 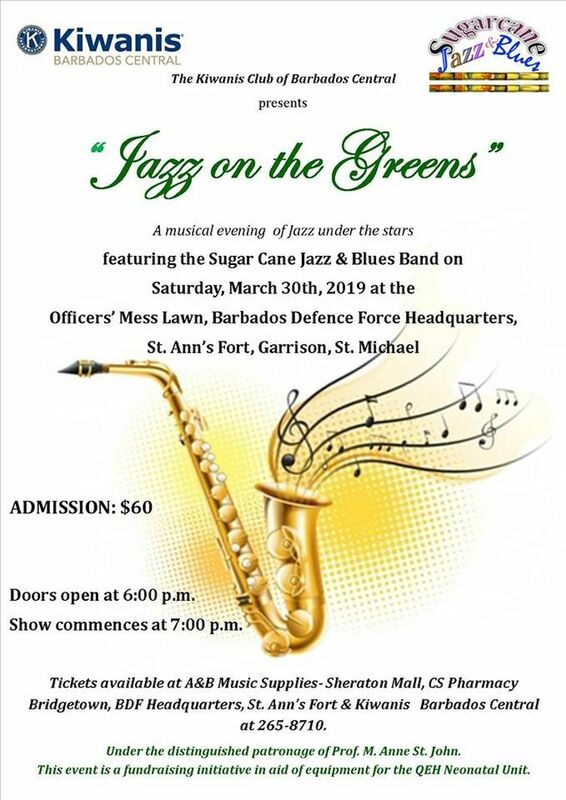 Enjoy a musical evening of jazz under the stars with The Sugar Cane Jazz And Blue Band and more! All proceeds will go towards purchasing a neonatal infusion pump for the Neonatal Unit of the Queen Elizabeth Hospital. The show will be held under the patronage of Professor Anne St. John, who spent more than 40 years in paediatrics.